B.C. 's pricey housing market could suffer if marijuana prices drop. Numerous recent studies have extolled the economic benefits of legalizing marijuana, pointing to all the money to be made and tax revenue to be collected. But a new report from Capital Economics suggests the federal government's legalization plan could also have some economic negatives. That's because weed is already a part of the economy. 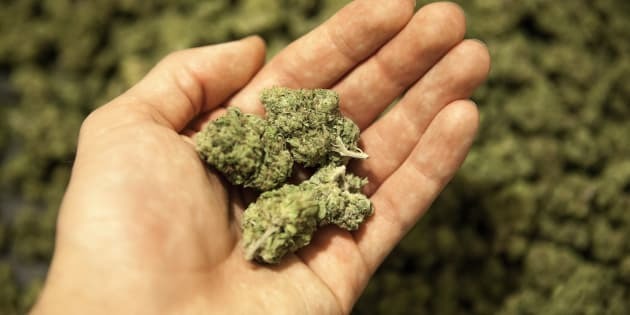 We can only guess at the size of the existing illegal industry, but report author David Madani estimates its operating revenue at $22 billion a year. About 70 per cent of Canada's marijuana production is exported. "This isn't some small mom and pop operation. This is a major industry," he told HuffPost Canada in an interview. If legalization were to damage this industry — as the governing Liberals hope it will — that could have a knock-on effect on the broader economy, according to the report. With marijuana legalized in several U.S. states, and its legalization in Canada set for next July, there is evidence that prices for the commodity are already falling, Madani wrote. And if prices for marijuana fall, then a net exporter of the product, like Canada, will see a decline in income. "We could see this depressing demand for luxury goods, exotic motor vehicles and expensive housing, potentially triggering a further slowdown in the economy," Madani wrote in the report issued Friday. A hit to B.C. 's housing market? Madani suggests legalization could even have a negative impact on British Columbia's infamously expensive housing market. B.C. is a well-known producer of weed. Madani's report cites a decade-old statistic from the RCMP suggesting it's worth $6 billion to the province's economy. And real estate is a great way to launder drug money, he notes. "While marijuana itself is often used as a currency in the underground crime world to obtain guns and other illegal drugs, it's not hard to see where significant sums of marijuana profits might have contributed to economic activity and real estate property values, especially in British Columbia," the report notes. Madani stresses that he is not defending the existence of the marijuana black market. Overall, he thinks legalization will have little impact on Canada's economy. It'll show up as an upward blip in Canada's GDP numbers, but will do little in the long run. Still, Madani says the Liberals' pot plan will likely have some unforeseen drawbacks. "There is a downside here that policy makers maybe haven't thought of," he said.